Home values continue to vacillate in most markets, which means that it’s difficult to estimate exactly how much equity you might be adding with a renovation or remodeling project. If you are aiming for maximum return, review your plans with an appraiser before the walls start coming down. This spring, a third of home sales were complicated by appraisals that differed significantly from the agreed-on sale price. That means the best judgment of the real estate agents, buyer, and seller were at serious odds with the professional opinion of the independent appraiser. But the appraiser’s opinion is the only one that a lender cares about. Ultimately, the value the appraiser puts on the house becomes the reality: the buyers and sellers must re-negotiate to arrive at that value before the deal can proceed. That’s why you should rely on an appraiser’s opinion, not on a computer-generated home value or the ‘market analysis’ offered as a marketing tool by an agent. Only a licensed, independent appraiser can tell you how much value you are adding—or not—through your proposed remodeling. • Will this project make our house ‘too rich’ for our neighborhood? It’s easy to get carried away with surface finishes, especially when you notice that local property listings lead with ‘granite counters!’ and high-end appliances. Just because agents think those amenities sell houses doesn’t mean that such finishes are now the standard on your block. The appraiser can tell you what the norms actually are, so you can calibrate your finishes to be at, or perhaps just above, the norm. • What types of houses are currently selling for the highest price per square foot in your area? This is an important factor if you are putting on an addition. 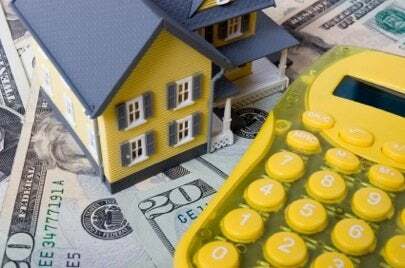 Ask the appraiser to calculate the likely value per square foot of your house with and without the proposed addition. You might find that you get less for more space. • Are foreclosures continuing to affect property values in our neighborhood, and if so, are those foreclosures being bought and improved by investors or owners? The appraiser should be able to tell you if improved foreclosures are actually starting to bolster home values. If so, home appreciation in your neighborhood might be stronger than current statistics indicate. That means that you stand a better chance of getting back more of what you spend, because freshly improved foreclosures are now relevant comparables. Related: 5 Smart Home Improvements? Think Again! • You can continue with your project, knowing that you are not going to get back most of what you are spending. • You can adapt the project—changing finishes, the size, and complexity of the job—so you are spending the least to get the maximum return. • Or you could scrap your original plans and make much simpler changes that maintain the marketability of the house without gambling on a significant return. Expect to pay $300 to $400 for an appraisal. You can find licensed appraisers through your state’s registry of licensed real estate professionals.